Global Technologies is a service and engineering company that designs, repairs and carries out maintenance of mechanical and electronic sub-assemblies. 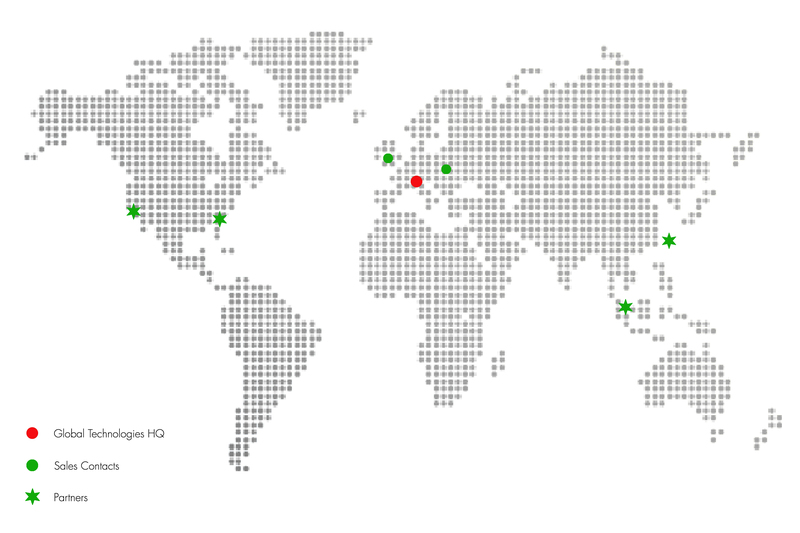 Our company has rapidly expanded its presence in France and to all European industrial sites specialising in semi-conductors owing to a reactivity and service quality that are recognised and appreciated by our customers and partners. Global Technologies is experiencing significant growth, which will be enhanced in the future due to its reinforced expansion in Europe and abroad and to the strategic alliances which it has implemented with it partners over the past years. Our company relies on a skilled, motivated and regularly-expanding team to implement a constant innovation policy. In our company, performance is consistent with quality and well-being. Global Technologies has implemented a sustained growth strategy for its services, based on proactive marketing activities and territorial representatives. Global Technologies was created in 2005, initially in order to meet a support and maintenance demand from manufacturing units based in France working for the semi-conductor industry (STMicroelectronics, ALTIS, Freescale, SOITEC, etc.) and seeking to optimise their production costs. As from 2006, its first contracts compelled it to organise its activities around two service departments dedicated to the repair of mechanical and electronic subassemblies (PCBs and electrical power supplies), as well as an engineering department with its own design office in order to meet the demand for “tailored” solutions. The company was very quickly led to expand its facilities & means in “specialised” workshops. In 2008, it invested in a workshop dedicated to services for the cryogenics industry and, in 2009, in a laboratory specialising in the repair of electronic radio frequency (RF) generators. Initially focused on the development of its service activities, Global Technologies decided, in 2009, to expand its initial field of expertise in order to reach new very promising sectors such as nanotechnologies and their applications in such fields as energy, water, photovoltaics, health, aeronautics, etc. 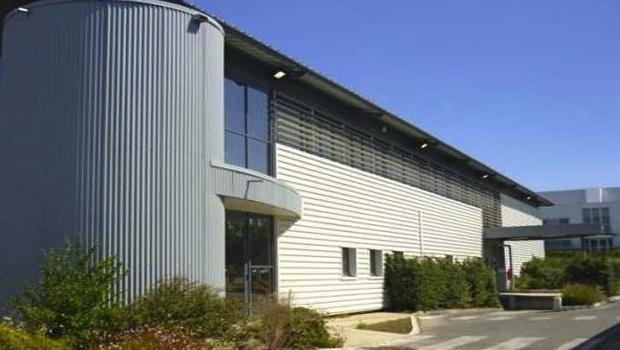 In September 2013, the company moved its head office and workshops to its new site in Rousset (Bouches-du-Rhône), located in the “Provence Alpes Côte d’Azur” Region in the heart of one of historic sites of the the French “silicon valley”, which made it possible to significantly extend the company’s production capacities. Since its creation in 2005, Global Technologies has been located in the Rousset Industrial estate, “Bouches du Rhône” county, France. This site is located on the “High Technology Highway” between Spain and Italy, it is connected to the largest industrial research centres and to major European technology parks. The Rousset Industrial estate brings together major industrial stakeholders of the semi-conductor market. Its dynamic of innovation, based on research and development activities, is enhanced by local competitive clusters. The industrial estate is easily accessible (a crucial factor for the effective operation of the company) as it is located near Marseille Provence International Airport, the Aix en Provence high-speed train station as well as major roads and motorways. Global Technologies provides a cutting-edge service to meet the requirements of the semi-conductor industry as well as European laboratories and research centres. The company is organised into profit centres, it provides all operations related to maintenance, repair & overhaul, reconditioning, upgrade, service exchange and sale of equipment and equipment subassemblies, as well as equipment design. The company is expanding towards an activity which requires strong skills in the fields of mechanics, vacuum, IT and automation. The acquired expertise is constantly developing as new employees (engineers and technicians) are regularly hired, and thanks to an efficient know-how capitalisation policy. In order to guarantee optimum turnaround times, the company has a comprehensive stock of detail parts suited to the frequency and the criticality of the covered subassemblies. Global Technologies takes special care in ensuring perfect continuity in the provision of its detail parts and in preserving a particularly dynamic and efficient management policy for its procurement supply chain in full compliance with its quality assurance system. The company also focuses on the training of its employees and the recruitment of its teams. The overall quality management system, certified ISO 9001 V2008, is a major tool for coordinating its entire policy. This department is in charge of repairing and reconditioning cryogenic pumps, Helium compressors as well as pump motor controllers, frequency converters and control terminals. Once repaired and overhauled, the subassemblies are tested in accordance with the standards and specifications from original equipment manufacturers (OEMs) in order to guarantee optimum performance. Electronic work: preventive maintenance, repair and calibrations. Helium work: refurbishment and calibration. Vacuum work: replacement with new components. Hydraulic work: cleaning and testing. In addition to assembly and operational test on specific measuring bench for full degassing and regeneration cycles. (*) provided that the requested PN is available at the time of the request. The ferrofluidic seal assemblies received in our workshops are overhauled and tested in accordance with the standards and specifications of the original equipment manufacturers (OEM). Replacement of non-compliant and worn parts. Replacement of wear parts (O-ring seals, bearings, etc.). Leak test / vacuum test on bench (static and dynamic). The motorised versions of rotary seals, known as “motor Spindle” are submitted to a double reconditioning process: the ferrofluidic rotary seal components and the motor components are reconditioned. The ferrofluidic rotary seal components are reconditioned under the sequence of operations detailed above. Inspection of rotor, stator and encoder components. Assembly with the ferrofluidic seal. Operational test on measuring bench (static and dynamic). (*) provided that the PN is available at the time of the request. The electronic department is divided into two main sections: one in charge of PCBs and direct current power supply units and the other one in charge of radiofrequency. These two sections work exactly as “equipment manufacturer type repair centres”, like those operated by the manufacturers of these subassemblies. Troubleshooting is carried out “at component scale”, all detection operations are carried out with testing programmes developed by the company which optimise the processing time. Detailed analysis for each subassembly and functional chain. Replacement of non-compliant or damaged components. Preventive replacement of some components if required. Operational test on measuring bench. The Gas department specialises in the refurbishment and manufacturing of gas supply systems for reactors. Destruction of contaminated and non-reusable parts. Leak test on bench (vacuum, pressure). Functional tests on bench with specific controller. Global Technologies also sells detail parts and spare subassemblies to its Customers. This service concerns the parts and subassemblies that the company specialises in repairing and refurbishing so that sales include specific warranty terms and conditions. However, in some specific cases and within the limit of its fields of expertise (electronics, vacuum, mechanics, etc. ), Global Technologies extends this proposal to similar subassemblies. Gas lines, gas modules, gas sticks. Implant disks and heatsinks, hooksites, pedestrals. Global Technologies has a very comprehensive range of expertise, at the scale of all the references and technologies used in the semiconductor industry. In addition to the level of excellence required to provide repair and reconditioning services, the company offers technical support to guarantee the appropriate use of the repaired subassemblies by its Customers and optimum operation of the associated equipment. Customers often call on Global Technologies technicians and engineers to help them solve equipment maintenance and reliability issues. The skills of the teams. Authorisation to qualify detail parts. This expertise allows “Global Technologies” to guarantee excellent performance which is largely acknowledged and attested by its Customers. CTI® pumps: Cryo-Torr® On-Board® (all PNs). CTI® compressors: IS 1000, SC, 8200, 8300, 8500, 8510, 9600, 9700 (all PNs). CTI® controllers and converters (all PNs). A few equipment PNs: Axcelis (GSD / GSDHE/VHE), Varian® (3290, 160XP,/300XP, Viision, Viista series, etc. ), Applied Material® (9500, XR80, Quantum, etc. ), Tel®, Novellus®, Aviza®, etc. ELECTRONICS : PCBs, DIRECT CURRENT POWER SUPPLY UNITS, RADIOFREQUENCY GENERATORS, ETC. Direct current power supply units. HV power supply units (20 kV, 30 kV, 80 kV, 180 kV, 200 kV). Miscellaneous controllers: spin amplifiers, coolers, pumps, vacuum gauges, etc. A few OEM references: Applied Materials®, Varian®, Novellus®, Axcelis®, Keithley®, Advanced Energy®, Comdel®, ENI MKS®, Glasman®, TDK-Lambda®, Hitek®, Kaiser , SpellMan, TRECK, Wallis, EMS®, BROOKS®, Electroglas®, Leica, NOAH, XANTREX, ARTESYN, ASTEX, CYBECQ, COPLEY, COSEL, XANTREX, etc. Doping “process” gas: Boron, Arsine, Phosphine, etc. A few OEM equipment PNs: Axcelis (NV-10 series NV-6200 series, GSD / GSDHE/VHE), Varian® (160XP,/300XP, CF3000-350D, E220/E500, Viision, Viista series, etc. ), Applied Material® (9500, XR80, Quantum, etc.). Global Technologies is the exclusive representative of the STS / WATLOW Company for Europe. STS is a leader in the field of ion implant disk refurbishment (all brands) as well as for using precision cleaning technologies and elastomer bonding technologies on various types of materials. Global Technologies represents MarTek in providing Electroglas wafer prober customers with extended services across European countries*. Founded in 1995, MarTek is a global supplier of new and refurbished Electroglas systems and refurbished wafer probers. MarTek international headquarter is located in Tempe, Arizona US. Since July of 2015, MarTek Inc. is the the sole owner of all Electroglas Wafer Prober Intellectual Property. Global Technologies has offered its customers higher reactivity and quality in the field of semiconductors for more than 10 years. Due to this superiority, the company has quickly become a benchmark supplier in its technical areas of expertise: mechanics in vacuum and ultra-vacuum environment, cryogenic pumping, gas distribution for reactors, analogical and digital electronics, power supply units as well as radiofrequency generators. Its business has grown steadily, particularly because it has implemented a quality system suited to the company as from its creation. Our management system meets with requirements of certification ISO 9001 v.2015. Since 2011, the company has initiated an environment and social responsibility (ESR) policy in line with standard ISO 26000: V2010. Services provided by an experienced team. A relevant offer from a qualitative and economic viewpoint. The development of suitable solutions. Support to our Customers in their strive for excellence. Adaptability, flexibility, reactivity to sudden changes and new constraints. Anticipation, culture of change to imagine tomorrow’s winning strategy. Collaborative culture, “right to mistake”, initiative making in order to create an atmosphere favourable to collective intelligence and to foster everyone’s personal commitment. Development of potentials and skills, versatile teams in a dynamic of well-being and innovation. Continuous improvement, creativity, efficiency in order to generate increase in value. Customer culture: an overall but tailored offering with a reinforced customer involvement. The constant quest for improved performance and harmony within the organisation guarantees the sustainable development of the company’s business. Our ambition: Making the best of our skills and enthusiasm for performance and innovation. The Global Technologies R & D team, specialising in nanotechnologies and related applications, has collaborated with the main French academic laboratories (CNRS – French National Scientific Research Centre – and CEA – French Atomic and Alternative Energies Commission) for several years. The company has a laboratory fitted with several synthetic equipment items necessary to implement, experiment and qualify its processes as well as a diverse range of materials and composites. Further to the investments made since 2010, and reinforced in 2013 (a specific laboratory was purchased), the company will investigate new processes, materials and products. This research aims at implementing very promising emerging applications: super-capabilities, high-flow selective membranes, functionalised composite materials, etc. The company has filed many patents since 2010 and its enhancement strategy will be reinforced by the acquisition of additional resources as from 2015.